Home / Shaak Blog / Interactive Learning / Piano Partners Book Series + Piano Partners MP3’s = Great Interactive Learning! Piano Partners Book Series + Piano Partners MP3’s = Great Interactive Learning! 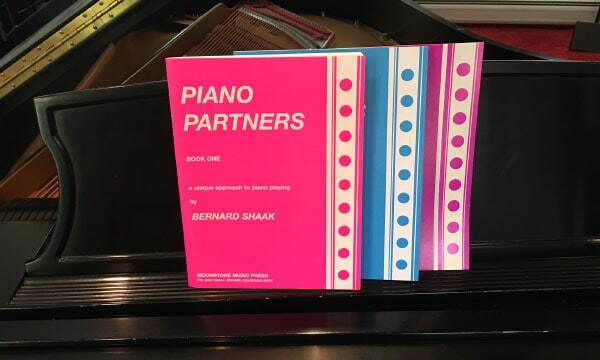 Our Piano Partners Books series is our all time best seller and a great introduction for beginners. Accompanying MP3’s are also available for this book series which makes learning interactive and easier, especially when students practice on their own at home. Carolyn and Jamie Shaak perform piano solos, duets, and duet accompaniments from Piano Partners 1, 2, and 3. Students can listen to recordings of songs and play along with duet accompaniments to help them learn the music and master foundational piano technique. You can purchase the Piano Partners Books here on this site and the Piano Partners MP3’s are available for download at iTunes or cdbaby.com.